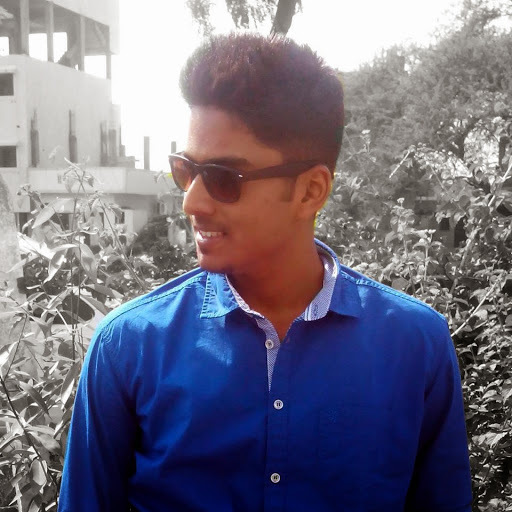 Home » Pc Tricks » How to open mobile version of website on PC? How to open mobile version of website on PC? 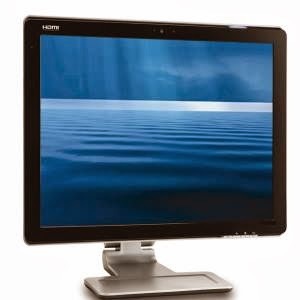 There are so many websites that offers mobile as well as pc version graphical user interfaces while browsing through specific device. But still there are some sites, which are good enough to get knowledge or no other website is providing content like it. In such case, it is always feasible to browse that website from mobile, because it may show unstructured web page while browsing through pc browsers. Also one more reason to browse mobile version of website is to lower bandwidth usage, because mobile version requires less bandwidth to download data such as images, style sheets etc. So here I will show you how to browse such pages on pc. User agent is a string data resides on browser , through which server can get information about client about which type of device is currently he is using and ultimately which type of webpage he should get like mobile, tablet or pc version. We can modify this string using User agent switcher which is available on both chrome and Firefox browsers. It helps you to change the user agent of the browser with easy options. 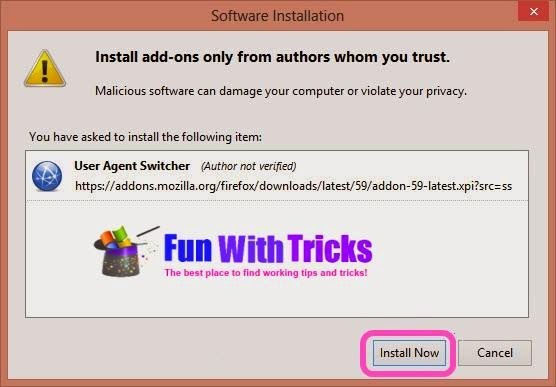 Here is the procedure on how to use it on both chrome and Firefox browsers. 1. 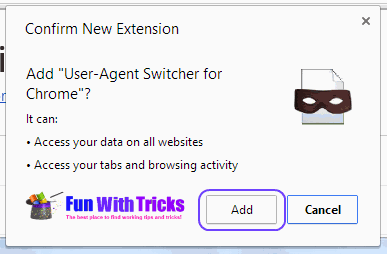 Download User Agent Switcher extension from here. 2. Install it on your browser by clicking on add button, after installation it will appear left side of browser address bar. 3. Click on User agent Switcher icon and select any one of the mobile user agent . Here I have chosen ipad 4 as User Agent. Now if you try to open any website, then you will be redirected to mobile version of website if available any. 2. Click on “Add to firefox” on the webpage. 3. Click on install now button to install it on your browser. 4. Restart the browser after installation. 5. 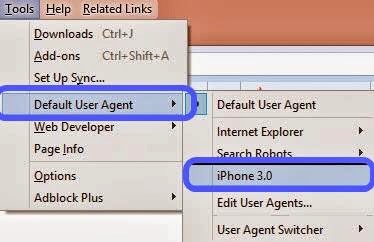 To access menu, Click on Tools->Default User Agent and then select Iphone 3.0 to change the user agent of the browser. Now you can open any website in mobile mode and also open mobile websites in pc. 6. You can also add your own User Agent string. Here you will get tons of User Agent strings. 1. This requires an updated version of Java. You can get if from here. 2. Browse through the URL http://www.opera.com/developer/opera-mini-simulator on any browser. 3. Allow the application to run java objects in your browser. 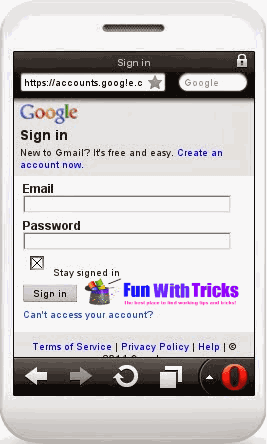 Click on allow button and run opera mini simulator. Now open any mobile website in that mobile simulator and it will be open with in seconds based on your internet speed.